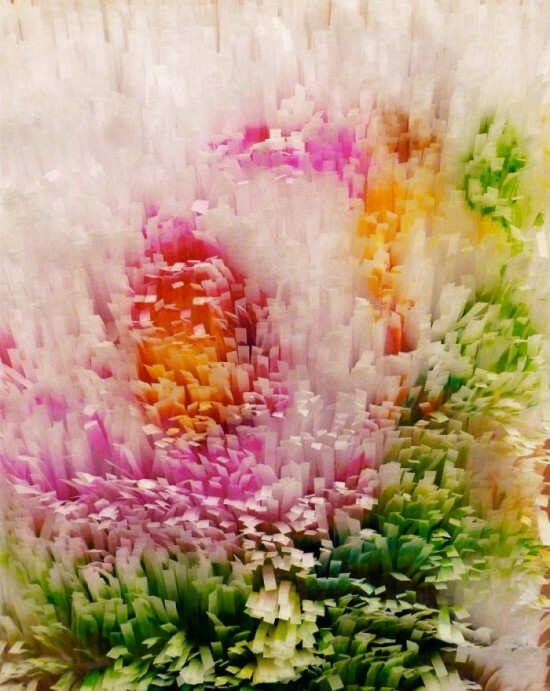 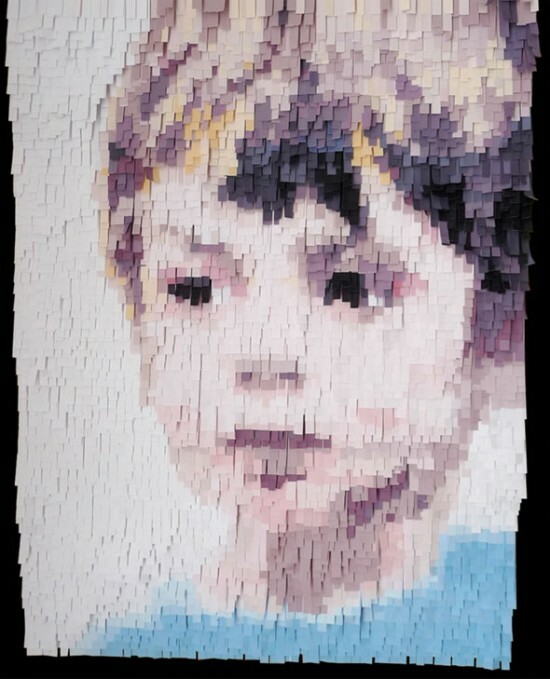 Nathalie Boutté is a talented French artist who uses thousands of simple strips of paper to create impressive collages. 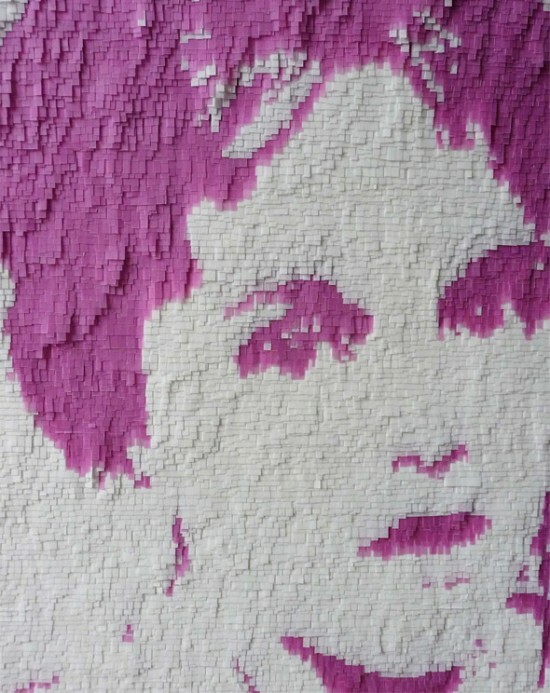 Born in 1967, Nathalie lives and works in Montreuill, near Paris, where she experiments with all kinds of types of paper, to obtain the results she desires. 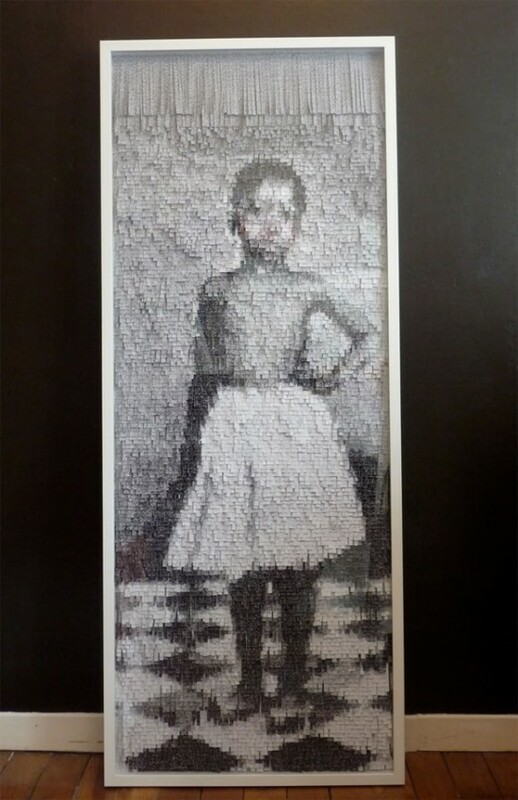 She has always been passionate about paper, and has worked with everything from tissues to old novel pages and lately, translucent tracing paper. 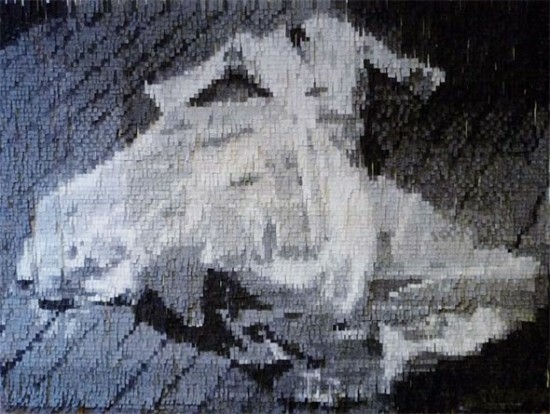 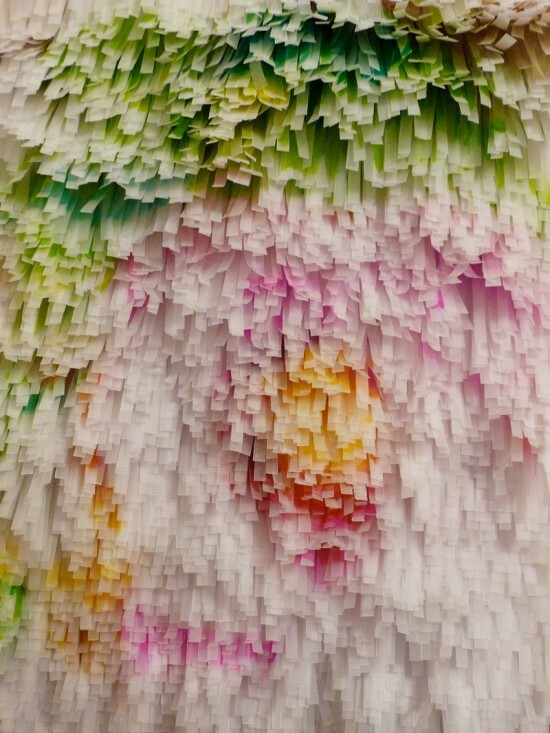 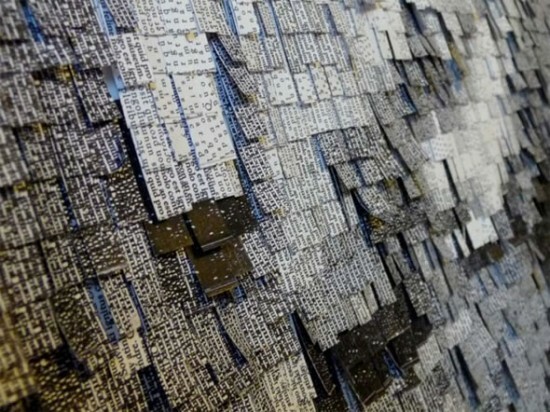 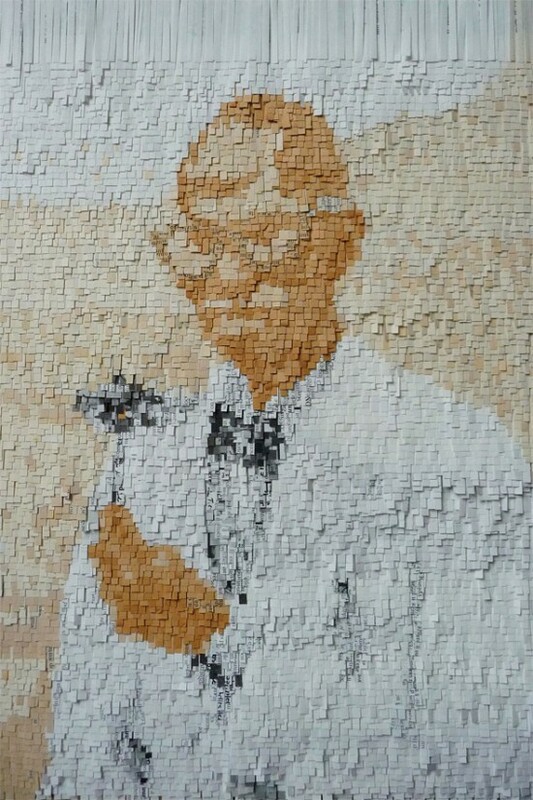 After the sheets of paper have been cut into long strips, they are layered in a way similar to tiles on a roof, revealing only their tips, which act like pixels in a giant collage. 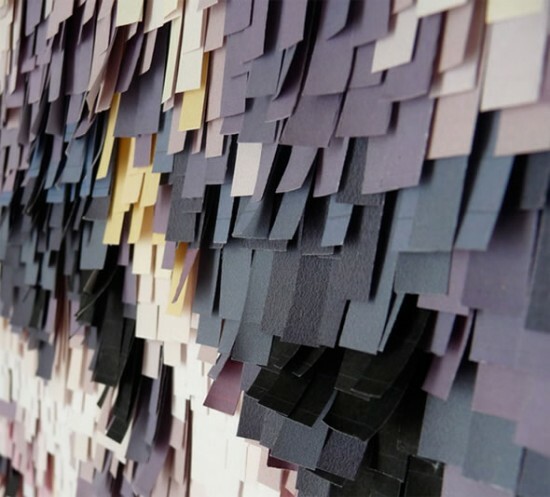 Although most of her artworks are pretty big, the dedicated artist says she isn’t scared of working with large formats, on the contrary, the bigger the collage, the more impressive it is. 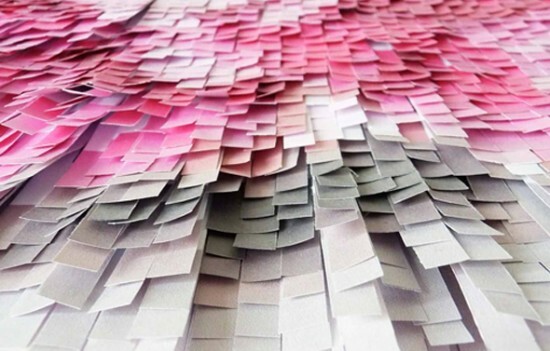 And I have to say, Nathalie Boutté’s pieces are pretty impressive.